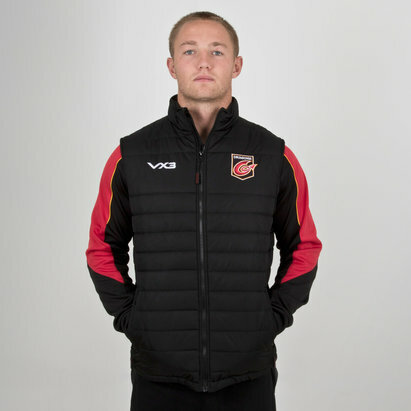 Ready to pull on to stay warm in the stands at Rodney Parade or at a rainy and cold training session, make sure you show everyone who you're supporting with this VX-3 Dragons Pro Contact Top. 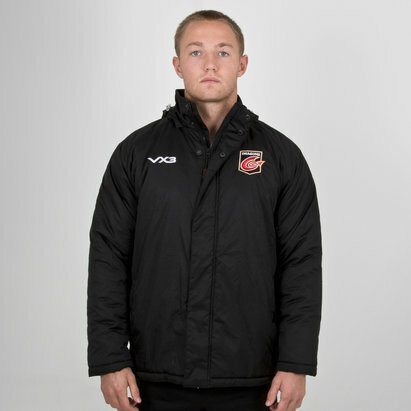 This Dragons contact top ensures you're kept warm and dry, as it's made from a tough but lightweight polyester. A soft netted lining ensures there's no irritation on the skin as elasticated cuffs and drawstring bottom hem keep the heat in and the cold out. 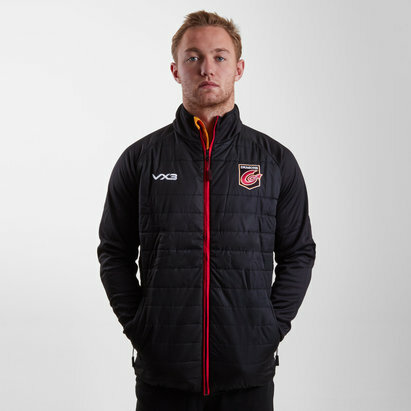 Designed with the Dragons and VX-3 logos proudly embroidered on the chest and back of the neck, training wear sponsors Lovell Rugby come printed along the front of the top. 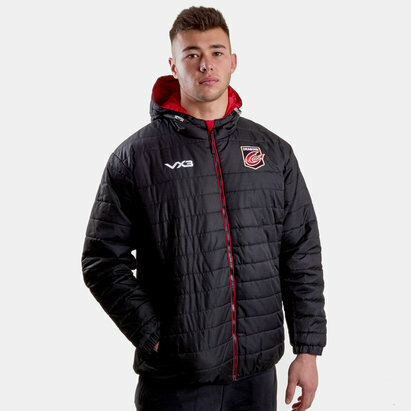 In a smart black colourway with red and gold accents, just like the Dragons players, proudly pull on this VX-3 Dragons Pro Rugby Contact Top anywhere.